The TECH4EFFECT consortium shows strong industrial participation. It includes leading machine manufacturers and logistics experts, as well as large forest owners and associations of small owners and contractors. Academic institutes from all over Europe represent the main forest regions. The consortium includes two globally leading machine manufacturers, Ponsse (harvesters) and Konrad Forsttechnik (cable yarders), but also other specialized SMEs like Latschbacher (apps, logistics) and Ibensoft (software). 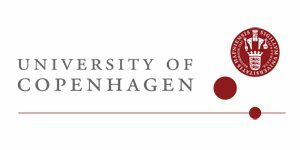 Together with the University of Copenhagen, Ibensoft will develop the efficiency portal. Forest owners are represented by large organisations like the Norwegian State Forest Agency Statskog and the Austrian Federal Forest, but also forest owner associations: Skovdyrkerne (Denmark) and Norskog (Norway). CONAIBO brings Italian forest contractors into the project while the German Centre for Forest Work and Technology (KWF) is a competence centre for the forest industry, contractors and machine operators. The academic institutes lead forest research in some of the leading timber producing countries in Europe. LUKE (Finland) represents very large scale boreal forestry, while NIBIO (Norway) represents niche production under more difficult operational conditions. 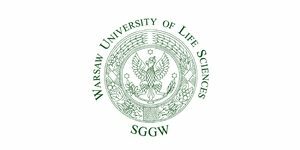 The Warsaw University of Life Sciences (Poland) and University of Goettingen (Germany) represent similar forest types, but in different socio-economic settings. Consiglio Nazionale delle Ricerche (CNR) and BOKU are experts on steep terrain, while CNR also represents Mediterranean forestry. The European Forest Institute will provide an assessment of the full impact of the project and RTDS leads dissemination, exploitation and communication to bring new, knowledge-based products and services to the market. The Norwegian Institute of Bioeconomy Research (NIBIO) is coordinating TECH4EFFECT. It was established in July 2015 and is one of Norway’s largest research institutes. 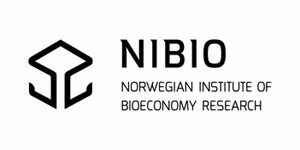 NIBIO is owned by the Ministry of Agriculture and Food and is a merger between the Norwegian Institute for Agricultural and Environmental Research (Bioforsk), the Norwegian Agricultural Economics Research Institute (NILF) and the Norwegian Forestry and Landscape Institute (Skog og landskap). NIBIO is organized in five divisions: Food Production and Society, Biotechnology and Plant Health, Environment and Natural Resources, Geography and Statistics, and Forest and Forest Resources. In TECH4EFFECT: NIBIO is coordinating TECH4EFFECT, and leading work package 4 to document and avoid or reduce site impact. Consiglio Nazionale delle Ricerche (CNR) is the leading public research institution of Italy, and depends on the Ministry of University and Scientific Research. CNR covers all fields of science, and counts 107 Institutes spread across the country. 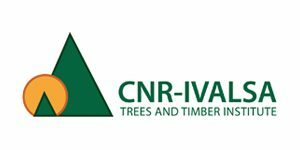 IVALSA is a CNR institute specifically devoted to R&D in the fields of wood supply, wood technology and wood utilization. The Forest Mechanization and Biomass Production Laboratory is part of IVALSA and it deals with forest harvesting in all working conditions, including: steep/mountain terrain, flatland forests and forest plantations on agricultural land. Since the early 1980s the Laboratory has devoted a growing share of its research work to biomass production from forest residues, thinning operations and dedicated wood crops. IVALSA research aims at optimizing the technical, economic and environmental performance of the techniques and working systems related to these activities, from a whole supply chain perspective. 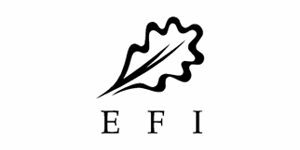 The European Forest Institute (EFI) is an international organisation established by European States. EFI conducts research and provides policy support on forest related issues. EFI facilitates and stimulates forest related networking, as well as promotes the supply of unbiased and policy relevant information on forests and forestry. It also advocates for forest research and scientifically sound information as a basis for policy-making on forests. In TECH4EFFECT EFI is leading work package 7 on impact assessment. 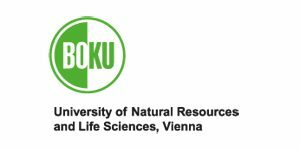 The University of Natural Resources and Life Sciences, Vienna (BOKU) has a strong profile in the sustainable management of renewable resources. In TECH4EFFECT, BOKU will be represented by the Institute of Forest Engineering and the Institute of Silviculture from the Department of Forest and Soil Science. The department’s mission is to develop management strategies for a sustainable, multipurpose forest management of mountain forest ecosystems under current and changing environmental conditions. The particular strength of the Institute of Forest Engineering is to support industry with the completion of highly innovative basic and applied research projects, while the Institute of Silviculture has an exceptionally strong profile in sustainable forest management and ecosystem modelling. In TECH4EFFECT BOKU is leading work package 3 on timber harvesting, to increase the productivity and cost-efficiency in timber harvesting and extraction. 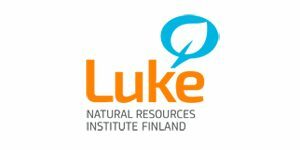 Natural Resources Institute Finland (Luke) is a research and expert organization with expertise in renewable natural resources and sustainable food production. Luke provides solutions for new business opportunities based on natural resources. Our strengths are sustainable production and use of natural resources and through knowledge of bio-based raw materials. In TECH4EFFECT: LUKE is leading work package 2 on silvicultural measures to increase access to wood resources. The Department of Food and Resource Economics (IFRO) at the University of Copenhagen has its origins in the traditions and methodology developed in the Danish agriculture, forestry and food production sectors, in which the close consultative relationships developed between the private sector, public authorities and research institutions contributed significantly to positive outcomes. Research, education, research based public sector services and broader dissemination are IFRO’s main tasks, particularly within the fields of environment, natural resources, global development, food and agriculture as well as consumption, bioethics and governance. In TECH4EFFECT UCPH is leading work package 5 which is developing the Efficiency Portal and main contact point for the Danish national Efficiency Portal. RTDS is an SME specializing in the development, management and communication of research and technological development projects. 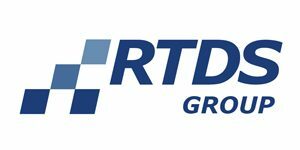 RTDS provides professional management and dissemination services, tools and training to research institutions, SMEs and other organizations involved in international research and cooperation. RTDS is partner in several completed and on-going European Union Framework projects covering health, environment, food and agriculture (KBBE), and bio-based industries (BBI). In TECH4EFFECT RTDS is coordinating dissemination, exploitation and communication efforts in WP8 and supporting partners with financial reporting. 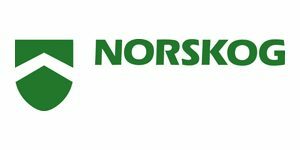 Norskog is a membership organisation for forest owners which owns more than 1,3 million hectares of forest and contributes to more than 15% of the harvested volume in Norway. Norskog works to achieve optimal conditions for an active and dynamic forestry. It assists the forest owners with: tax, property structure, transportation. Economic development, environmental management and industrial policies are our most important business and political work fields. 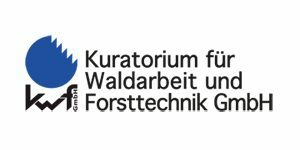 KWF, the German Centre for Forest Work and Technology, is a competence centre for all aspects of wood harvesting, safety at forest work and wood logistics. It is an independent legal entity, organised as an association and has more than 2.500 supporting and funding members. KWF offers several services, including: Organising platforms for knowledge transfer from science to practice; Evaluation, certification and improvement of wood harvesting technologies; Information, consulting and delivering decision support. In TECH4EFFECT KWF is leading work package 6 which is implementing the Efficiency Portal in several countries via national portals, specifically the German Efficiency Portal. 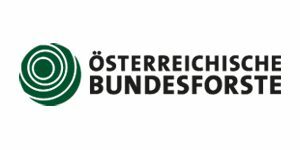 As no other company Österreichische Bundesforste (ÖBF) are responsible for Austria’s nature. Managing 10% of the national territory and 15% of Austria’s woodland the Bundesforste are the largest ecosystem manager, forest managing company and owner of hunting and fishing licenses. Sustainability forms the guiding principle for all ÖBFs activities. The company translates this principle into practice by placing equal value on the protection of environment, the needs of society and commercial success. ÖBF provides descriptive and topographical data on experimental sites and case study areas for the project from ÖBFs databases and forest management. In TECH4EFFECT ÖBF is involved in several field studies, especially in work package 3 on timber harvesting. 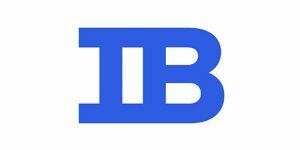 Ibensoft ApS is a research-based consultancy and software company specialized in the development and deployment of benchmarking environments. The hallmark of Ibensoft is to make state-of-the-art benchmarking techniques available to users in easy-to-use software. It combines state-of-the-art benchmarking theory, decision support methods and computer software to identify appropriate role models and useful performance standards. In TECH4EFFECT Ibensoft is focusing on development of the Efficiency Portal in work package 5, more specifically on the benchmarking system. Skovdyrkerne provides management advice to more than 25% of the private Danish forest owners on their more than 83,000 hectares of forest land. This is executed through 5 local units by more than 80 professional foresters. Skovdyrkerne is a membership organisation fully owned by 5000 members (forest owners). 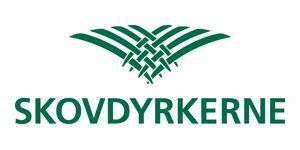 Skovdyrkerne handle inter alia the harvesting and marketing of a yearly production of more than: 400,000 solid m3 of wood chips, 173,000 m3 of conifer, timber and cellulose wood etc. and 35,000 m3 of broad leave saw logs on behalf of the members. In TECH4EFFECT Skovdyrkerne is mainly contributing to data collection protocols and benchmarking in work package 5 for the development of the Efficiency Portal, and implementing the Danish national portal. Ponsse is one of the world’s leading manufacturers of forest machines for the cut-to-length method, and its customer-oriented operations are still guided by the wishes and needs of forest machine entrepreneurs. Ponsse focuses in the production, sales and maintenance of forest machines and related information systems. Ponsse’s registered office is in Vieremä, Finland, the same place where it was established in 1970. The company’s shares are quoted on the NASDAQ OMX Nordic List. 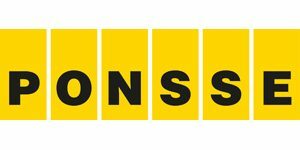 The Ponsse Group consists of the parent company Ponsse Plc and the subsidiaries Ponsse AB in Sweden, Ponsse AS in Norway, Ponssé S.A.S. in France, Ponsse UK Ltd. in the UK, Ponsse North America Inc. in the USA, Ponsse Latin America in Brazil, OOO Ponsse in Russia, Ponsse Asia-Pacific Ltd in Hong Kong, Ponsse China Ltd in China, Ponsse Uruguay S.A. in Uruguay and Epec Oy in Finland. CONAIBO is the Italian association of logging companies, created in 2012 by 4 regional associations to be representative also at a National level. It has currently 9 member associations and 2 honorary members. It represents more than 400 logging companies mainly located in Northern Italy as associations of forest entrepreneurs are yet rare in the rest of Italy. 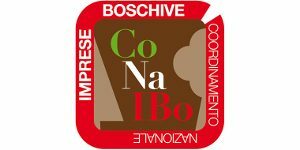 One of CONAIBO’s main goals is to support forest associative actions also in Central-Southern Italy. CONAIBO aims at strengthening the collective activity of logging enterprises, in order to support their technology and economic development, while lobbying in favour of new policies that may support the forest sector. Furthermore, it aims at improving company professionality, operators training and worker safety, and also to promote sustainable forest management, to improve the status of loggers and to encourage young men and women to approach his kind of work. CONAIBO represents a variety of companies, from individual entrepreneurs working with tractor and forest winch to small-medium sized companies with a dozen employees to highly mechanized, perfectly reflecting the reality of the Italian logging sector. A common picture of an Alpine logging company member of CONAIBO is 3-4 forest operators with a mobile tower yarder and excavator fitted with harvester head or with processor. These are the enterprises that we keep in mind while working in TECH4EFFECT on WP5 and WP6, where our main role is to tailor the Efficiency Portal on the Italian forest sector and its inherent diversities. In TECH4EFFECT SGGW is active in identifying and extending key silvicultural systems in Europe, including increasing efficiency in silviculture and silvicultural operations. This is based on the data obtained during field measurements and local growth simulators (WP2). Data is also obainted in field studies to reduce soil impact, combined with maps based on topography or local digital terrain models (WP4). Additionally SGGW provides data from Polish forests to the Efficiency Portal. Latschbacher is based in Kronstorf in Upper Austria and provides solutions for the logistic control of wood from the forest to the mill and for automatic data collection. The assortment reaches from wood tagging to mobile data entry to professional logistics and ERP system. 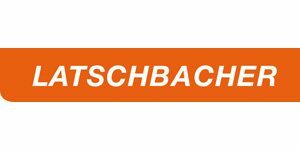 Latschbacher has been successfully active on the market for 48 years. The group consists of 9 sites and has 85 employees worldwide. Their solutions have proved themselves in real life: they are field-tested and fully developed, which makes optimization and processes safe and simple. The System is modular, so that investment is only for the building blocks that are needed. Solutions are customized and can easily be extend anytime. In TECH4EFFECT Latschbacher is developing an app for optimized bucking of trees in motor manual operations in work package 3, together with BOKU. 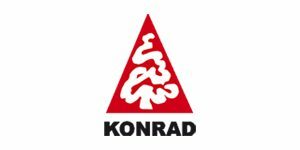 Konrad Forsttechnik GmbH is an innovative company with 90 employees specialised in development and construction of forest machinery especially for timber harvesting in steep terrain. Highest attention is paid to offering ideal product solutions as well as an all-round service package to their customers. Particular strength of Konrad Forsttechnik is their vision combined with consequent technical implementation of novel machine technology and concepts. Konrad´s portfolio covers both, cable (MOUNTY, WOODLINER) and ground based machinery for steep terrain (PULLY, HIGHLANDER) timber harvesting. An exceptional success story is their well-known processing unit WOODY, which is the most common processor head, used on mobile tower yarders and other base machines. Recently Konrad presented the new carriage E-Liner. This innovative carriage is equipped with an electrically powered slack pulling device using energy gained during lateral yarding. In TECH4EFFECT Konrads main role is in work package 2 to develop an advanced sensor-based tool for controlling timber harvesting on steep terrain. Statskog is the country’s largest land owner and manager with in all six million hectares, equal to 20% of mainland Norway. 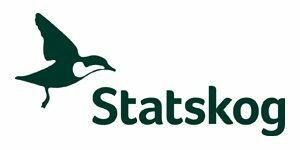 Statskog is a State-Owned Enterprise (SOE). The Ministry of Agriculture and Food exercises ownership in a public enterprise general meeting. Statskog activities are in three core areas: property, forests and outdoor life. In TECH4EFFECT Statskog contributes to work package 2 on silvicultural issues, mainly with data. 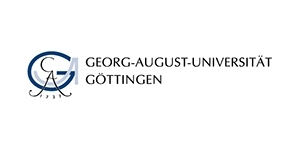 The Department of Forest Work Science and Engineering at the University of Goettingen is a leading organisation for applied research and academic teaching in the field of forest operations. Research subjects cover the analysis, evaluation and designing of production processes and systems along the forest wood supply chain with the aim to implement sustainable forest management and natural resource utilization, and the well-being of the involved working human. Through a wide range of national and international research cooperation, the department has reached reputation for its applied and relevant work among academic, industrial and governmental partners. In TECH4EFFECT UGoe is mainly contributing to enhance the accessibility of wood resources through improved forest road standards and related monitoring approaches in work package 3, and additionally supporting work package 4 activities to document and avoid or reduce site impact. 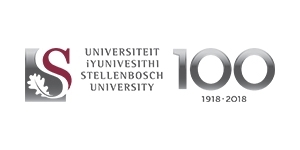 Recognised as one of the top three research universities in South Africa, Stellenbosch University (SU) was established in 1918 and is a fully accredited classic university with a strong focus on internationalisation and research expertise. In 2017, 31 639 students were enrolled in 10 faculties: Arts and Social Sciences, Economic and Management Sciences, Education, Science, AgriSciences, Medicine and Health Sciences, Military Science, Law, Theology and Engineering. Of these, post-graduate students represent 33% of all students; more than 4000 international students represent 117 countries. The size of the permanently employed personnel corps in 2017 was 3 429. Nationally, SU is the most productive university in terms of weighted research output per full-time academic staff member. SU has 43 Research Chairs and seven national Centres of Excellence. Strengthening SU’s internationalisation footprint, SU researchers collaborate extensively with partners in North and South America, Africa, Europe, Scandinavia and Asia. The University has managed more than 5600 research contracts since 2004 and has the largest number of Patent Cooperation Treaty patents nationally. The role of Stellenbosch University is to be the portal of cutting edge technology developments from TECH4EFFECT to the South African forestry industry. In doing so future Masters and the current PhD studies will be done, using forestry machine derived ‘big data’ in WP6 and other high resolutions LiDAR and photogrammetry solutions to provide forest management understanding new to our industry.